SINCE 1995, CL&D DIGITAL has provided services for numerous customers seeking production-run, quality packaging - FAST! We are experts at producing-market ready prototypes, samples, sales kits, comps and other short-run packaging projects. Beyond packaging, we offer handwork and fulfillment services such as application, forming, filling and fulfillment. Our digital printing technology is direct to press printing. There are no color separations, plates or cylinders used with conventionally produced packaging. CL&D DIGITAL offers SIX color capabilities plus white. We can match PMS and spot colors which means our customers receive production quality color. Digital packaging meets your time, cost and flexibility demands. Because set-up is minimal, it is ideal for short runs such as samples, comps, test marketing and shelf sets. You save money eliminating inventory and storage. You can also customize and make last minute changes. The digital technology we use has changed the way many consumer goods manufacturers are bringing new products to market: fast and cost effective. Providing fast and worry-free, one-stop branded packaging and printing solutions is what CL&D Digital has done for over 20 years. There are no minimums and deliveries can be as quick as next day. We are re not just a package printer, we are packaging consultants providing the most experienced and reliable team in the industry. PRODUCTION QUALITY PROTOTYPES - FAST and ON TIME. Our customers include many Fortune 500 consumer products manufacturers. Some of the most famous names on the planet count on CL&D Digital’s ability to provide quality packaging for their branded packages and label samples. 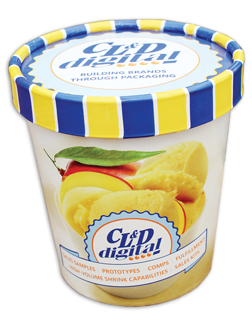 CL&D Digital’s complete packaging design services and project management capabilities can help build your brand from concept to completion and get your product on the shelf in record time. 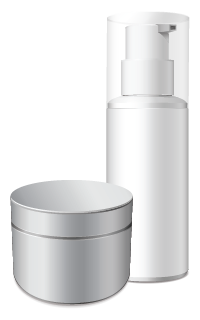 360 degrees of coverage for your bottle, jar, can and more. We can fit your sleeve packaging to size, print, varnish (optional), slit or sheet, and seam (hand or automatic). 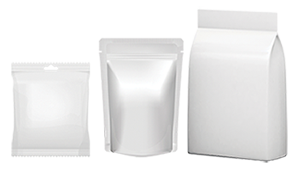 PRESSURE-SENSITIVE LABELS are a flexible, easy packaging solution. Creatively, the label adds bold and beautiful colorful images to your packaging. They can also be applied to cover up existing labels – making them efficient, too. INSTANT REDEMPTION COUPON (IRC) LABELS (Peel-off) coupons are printed and adhered right to the package allowing you to offer an instant discount at point of purchase. PERSONALIZED LABELS are based on common art or themes. We give you the flexibility to produce personalized labels, connecting you one-on-one with your buyer. Think of your short-run, personalized packaging as cost-effective research (and you might reveal a much larger market demand for your product, too). 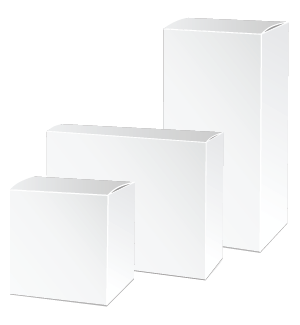 No matter the shape, size, and substrate, all product packaging must instantly appeal to consumers from the shelf. Our team will print, laminate, sheet, form-seal, add a zipper, fill and final seal your bags. CL&D Digital is GMP certified by ASI for food contact and non-food contact flexible packaging. We can tackle any project from one each to thousands — from start to finish, with many options along the way. Because we are GMP certified by ASI for food and non-food contact packaging, we can fill and seal individual "piece" size candy foil wrappers as well as wrap individual candy or granola bars. Refrigerated foods in a constant 38 degree-temperature. Our Account Management team goes above and beyond to meet the needs of our customers. Not only will we print your sales sample, prototype and comp packaging, we will also fill it with your product or a simulation filler. This is the best way to get an idea of what the final product will look like. This is also ideal for sales kits because we can package, fill and bundle multiple products into one package. We'll store your cold products and ship everything out to different locations if need be. Think you might need something done that you don't see listed? Ask us about it and we can help you with a solution. 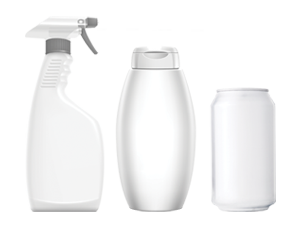 Shrink sleeves emphasize uniquely contoured bottles and provide your product with 360 degree brand recognition. 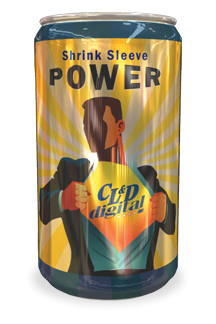 CL&D Digital shrink sleeve services are a cost effective application for your sales samples and short runs with no quantity limits. 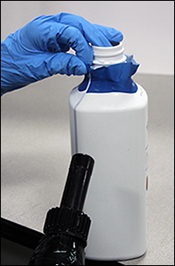 We utilize a Hybrid Steam and InfraRed Heat Tunnel to apply shrink sleeves to difficult, very precise, and widely contoured containers. Our Research and Development Team is available to support your specific technical applications. Have an application or technique not on this list? Be sure to check with our custom packaging experts. We’ll research possible package design sample solutions for you. 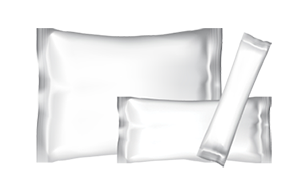 We’re GMP certified by the American Sanitation Institute (ASI) for food contact packaging and non-food contact packaging. 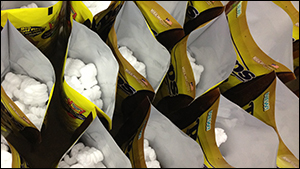 We can form, gusset, fill, and seal bags and stand-up pouches. We also assemble sales kits to be your one-stop, total packaging solution. GMP regulates the requirements for food processing, handling, and storage according to strict Food and Drug Administration (FDA) standards. Our food contact packaging and non-food contact packaging certification means our packaging is acceptable to use in a facility that produces food products – and can directly touch food surfaces. Keeping our facility clean and sanitary is a top priority – to meet GMP standards as well as those set by our Fortune 500 consumer products manufacturers who have inspected and approved us to handle their products. We save you additional time by drop shipping your orders to multiple locations anywhere in the world via Federal Express or UPS. Complete turn-around time can be as short as 24 hours depending on the scope and size of your project. Taking our abilities one step further, our refrigeration system allows us to store and ship your refrigerated and frozen foods. It’s just one more way CL&D is working for you.